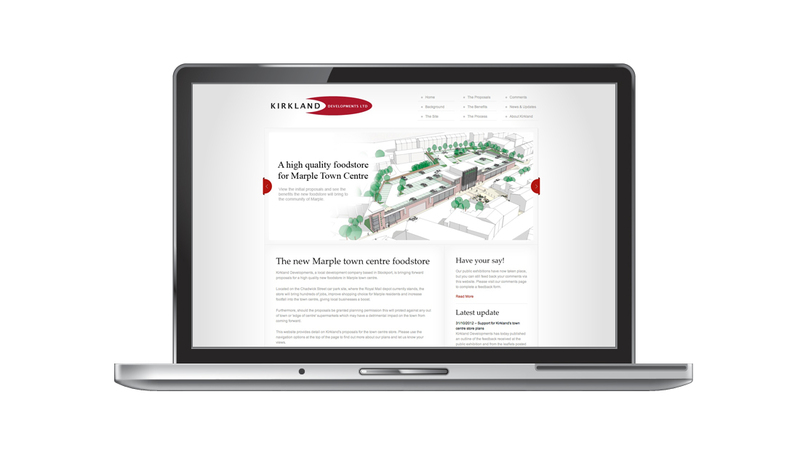 application : Public consultation website for Marple Town Centre. 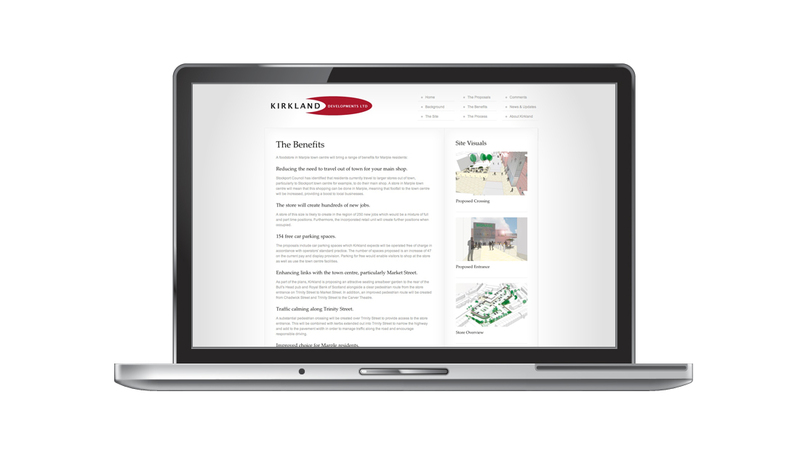 Brief – To create a informative website as a Public consultation platform. The website needed to help increase awareness of the regeneration of Marple town centre, the benefits to the local population and canvass opinion.